Pope Francis (Latin : Franciscus; Italian : Francesco; Spanish : Francisco; born Jorge Mario Bergoglio; [lower-alpha 2] 17 December 1936) is the head of the Catholic Church and sovereign of the Vatican City State. Francis is the first Jesuit pope, the first from the Americas, the first from the Southern Hemisphere, the first to visit and hold papal mass in the Arabian Peninsula, and the first pope from outside Europe since the Syrian Gregory III, who reigned in the 8th century. Throughout his public life, Pope Francis has been noted for his humility, emphasis on God's mercy, international visibility as Pope, concern for the poor and commitment to interfaith dialogue. He is credited with having a less formal approach to the papacy than his predecessors, for instance choosing to reside in the Domus Sanctae Marthae guesthouse rather than in the papal apartments of the Apostolic Palace used by previous popes. He maintains that the Church should be more open and welcoming. He does not support unbridled capitalism, Marxism, or Marxist versions of liberation theology. Francis maintains the traditional views of the Church regarding abortion, marriage, ordination of women, and clerical celibacy. He opposes consumerism and overdevelopment, and supports taking action on climate change, a focus of his papacy with the promulgation of Laudato si' . In international diplomacy, he helped to restore full diplomatic relations between the United States and Cuba and supported the cause of refugees during the European migrant crisis. Since 2016, Francis has faced increasingly open criticism, particularly from theological conservatives, on the question of admitting civilly divorced and remarried Catholics to Communion with the publication of Amoris laetitia , and on the question of the alleged cover-up of clergy sexual abuse. Interfaith dialogue refers to cooperative, constructive, and positive interaction between people of different religious traditions and/or spiritual or humanistic beliefs, at both the individual and institutional levels. It is distinct from syncretism or alternative religion, in that dialogue often involves promoting understanding between different religions or beliefs to increase acceptance of others, rather than to synthesize new beliefs. 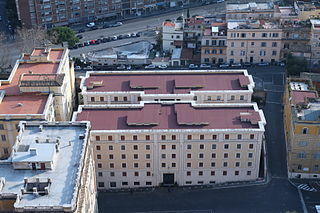 The Domus Sanctae Marthae is a building adjacent to St. Peter's Basilica in Vatican City. Completed in 1996, during the pontificate of Pope John Paul II, it is named after Martha of Bethany, who was a sibling to Mary and Lazarus of Bethany. The building functions as a guesthouse for clergy having business with the Holy See, and as the hotel residence of the members of the College of Cardinals when they are participating in a papal conclave to elect a new Pope. The Apostolic Palace is the official residence of the Roman Catholic Pope and Bishop of Rome, which is located in Vatican City. It is also known as the Papal Palace, Palace of the Vatican and Vatican Palace. 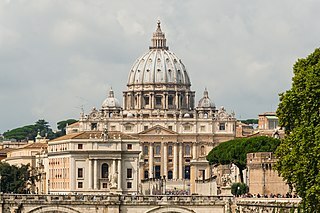 The Vatican itself refers to the building as the Palace of Sixtus V in honor of Pope Sixtus V, who built most of the present form of the palace. The city of Buenos Aires is formally divided in 48 barrios (neighbourhoods), grouped into 15 comunas (communes), which are defined as "units of decentralized political and administrative management governed by designated residents". Portacomaro is a comune (municipality) in the Province of Asti in the Italian region Piedmont, located about 45 kilometres (28 mi) southeast of Turin and about 7 kilometres (4 mi) northeast of Asti. 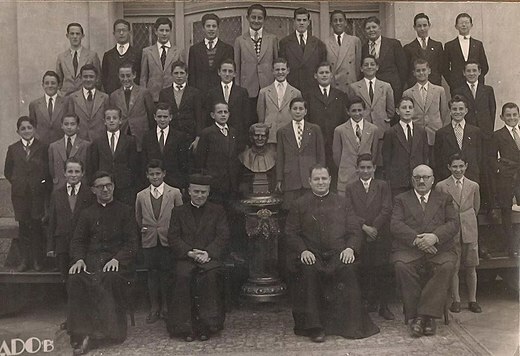 The Salesians of Don Bosco is a Roman Catholic Latin Rite religious institute founded in the late nineteenth century by Italian priest Saint John Bosco to help poor children during the Industrial Revolution. Ramos Mejía is a city in La Matanza Partido, Buenos Aires Province, Argentina. The city has an area of 11.9 km2 (4.6 sq mi) and a population of 98,547. The city is one of the largest commercial districts in the Western Zone of Greater Buenos Aires. Juan Hipólito del Sagrado Corazón de Jesús Yrigoyen was a two-time President of Argentina who served his first term from 1916 to 1922 and his second term from 1928 to 1930. Club Atlético San Lorenzo de Almagro, commonly known as San Lorenzo de Almagro or simply San Lorenzo, is an Argentine sports club based in the Boedo district of Buenos Aires. 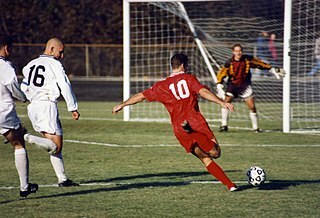 It is best known for its football team, which plays in the Primera División, the first tier of the Argentine football league system. San Lorenzo is also considered one of the "big five" of Argentine football by Argentine press, with Independiente, River Plate, Boca Juniors, and Racing Club. Bergoglio told his authorized biographer, Sergio Rubin, that after the priests' imprisonment, he worked behind the scenes for their release; Bergoglio's intercession with dictator Jorge Rafael Videla on their behalf may have saved their lives. Bergoglio also told Rubin that he had often sheltered people from the dictatorship on church property, and once gave his own identity papers to a man who looked like him, so he could flee Argentina. The interview with Rubin, reflected in the biography El jesuita , is the only time Bergoglio has spoken to the press about those events. Alicia Oliveira, a former Argentine judge, has also reported that Bergoglio helped people flee Argentina during the rule of the junta. Since Francis became Pope, Gonzalo Mosca  and José Caravias  have related to journalists accounts of how Bergoglio helped them flee the Argentine dictatorship. Francis appears in public for the first time as pope, at St. Peter's Basilica balcony, 13 March 2013. His motu proprios include Ai nostri tempi and De concordia inter codices . 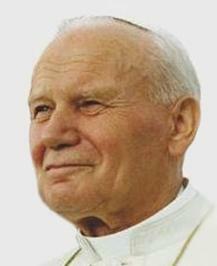 Francis issued another titled Maiorem hac dilectionem which created a new path towards canonization for certain causes. 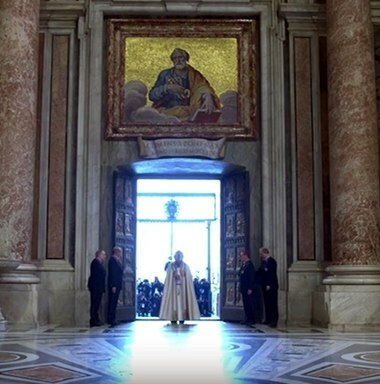 Pope Francis opens the Holy Door marking the beginning of the Extraordinary Jubilee of Mercy. With his April 2015 papal bull of indiction, Misericordiae Vultus (Latin: "The Face of Mercy"), Francis inaugurated a Special Jubilee Year of Mercy, to run from 8 December 2015, Solemnity of the Immaculate Conception of the Blessed Virgin Mary, to the last Sunday before Advent and the Solemnity of the Feast of Christ the King of the Universe on 20 November 2016. John Zizioulas, Eastern Orthodox metropolitan of Pergamon, presents the encyclical Laudato si' at the Press conference in Rome. "With shame and repentance, we acknowledge as an ecclesial community that we were not where we should have been, that we did not act in a timely manner, realizing the magnitude and the gravity of the damage done to so many lives ... We showed no care for the little ones; we abandoned them ... The heart-wrenching pain of these victims, which cries out to heaven, was long ignored, kept quiet or silenced." In August 2018, an appeal was made to the cardinals of the Catholic Church by 45 persons, including professors and Catholic clergy, calling on the cardinals to advise Pope Francis to retract a recent revision made to the Catechism regarding the admissibility of the death penalty. The appeal expressed concern that the change in the catechism contradicts prior Catholic teaching on the death penalty and may cast doubt on the reliability of the Magisterium. The official style of the Pope in English is His Holiness Pope Francis; in Latin, Franciscus, Episcopus Romae. Holy Father is another honorific often used for popes. His Holiness Francis, Bishop of Rome, Vicar of Jesus Christ, Successor of the Prince of the Apostles, Supreme Pontiff of the Universal Church, Primate of Italy, Archbishop and Metropolitan of the Roman Province, Sovereign of the Vatican City State, Servant of the servants of God. 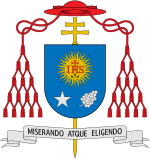 Pope Francis's initial grant of arms by the Holy See was as Archbishop of Buenos Aires, when he was Cardinal Bergoglio,  in which the depiction of the Star and Spikenard were tinctured Argent. Following his election as Pontiff these are now tinctured Or. The first version of His Holiness' arms released by the Vatican Press Office depicted a five-pointed Star from Bergoglio's archiepiscopal version, but upon election as Pope his coat of arms assumed an eight-pointed star with the representation of the spikenard also being suitably differenced. Bergoglio, Jorge (1982). Meditaciones para religiosos[Meditations for the Religious] (in Spanish). Buenos Aires: Diego de Torres. OCLC 644781822. Bergoglio, Jorge (1992). Reflexiones en esperanza[Reflections of Hope] (in Spanish). Buenos Aires: Ediciones Universidad del Salvador. OCLC 36380521. Bergoglio, Jorge (2003). Educar: exigencia y pasión: desafíos para educadores cristianos[To Educate: Exactingness and Passion: Challenges for Christian Educators] (in Spanish). Buenos Aires: Editorial Claretiana. ISBN 9789505124572. Bergoglio, Jorge (2003). Ponerse la patria al hombro: memoria y camino de esperanza[Putting the Motherland on One's Shoulders: Memoir and Path of Hope] (in Spanish). Buenos Aires: Editorial Claretiana. ISBN 9789505125111. Bergoglio, Jorge (2005). La nación por construir: utopía, pensamiento y compromiso: VIII Jornada de Pastoral Social[The Nation to Be Built: Utopia, Thought, and Commitment] (in Spanish). Buenos Aires: Editorial Claretiana. ISBN 9789505125463. Bergoglio, Jorge (2006). Corrupción y pecado: algunas reflexiones en torno al tema de la corrupción[Corruption and Sin: Some Thoughts on Corruption] (in Spanish). Buenos Aires: Editorial Claretiana. ISBN 9789505125722. Bergoglio, Jorge (2006). Sobre la acusación de sí mismo[On Self-Accusation, (or from the Italian, Humility: The Road towards God)] (in Spanish). Buenos Aires: Editorial Claretiana. ISBN 978-950-512-549-4. Bergoglio, Jorge (2007). El verdadero poder es el servicio[True Power Is Service] (in Spanish). Buenos Aires: Editorial Claretiana. OCLC 688511686. 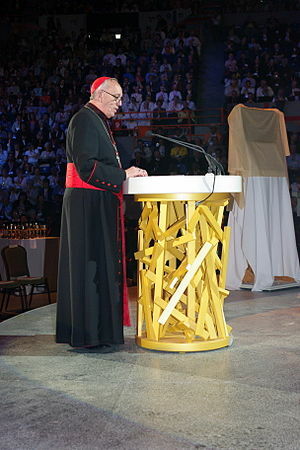 Bergoglio, Jorge (2009). Seminario: las deudas sociales de nuestro tiempo: la deuda social según la doctrina de la iglesia[Seminar: the Social Debts of Our Time: Social Debt According to Church Doctrine] (in Spanish). Buenos Aires: EPOCA-USAL. ISBN 9788493741235. Bergoglio, Jorge; Skorka, Abraham (2010). Sobre el cielo y la tierra [On Heaven and Earth] (in Spanish). Buenos Aires: Editorial Sudamericana. ISBN 9789500732932. ; Bergoglio, Jorge; Skorka, Abraham (2013). On Heaven and Earth: Pope Francis on Faith, Family, and the Church in the Twenty-First Century. New York: Random House. ISBN 978-0770435066. Bergoglio, Jorge (2010). Seminario Internacional: consenso para el desarrollo: reflexiones sobre solidaridad y desarrollo[International seminar: Consensus about Development: Reflexions on Solidarity and development] (in Spanish). Buenos Aires: EPOCA. ISBN 9789875073524. Bergoglio, Jorge (2011). Nosotros como ciudadanos, nosotros como pueblo: hacia un bicentenario en justicia y solidaridad[Ourselves as Citizens, Ourselves as a People: towards a Bicentenary in Justice and Solidarity] (in Spanish). Buenos Aires: Editorial Claretiana. ISBN 9789505127443. Pope Francis (2013). The Joy of the Gospel: Evangelii Gaudium. Washington, DC: United States Conference of Catholic Bishops. ISBN 978-1601374585. Pope Francis (2013). Open Mind, Faithful Heart: Reflections On Following Jesus. Translated by Joseph V. Owens, SJ. New York: Crossroad Publishing Company. ISBN 9780824519971. 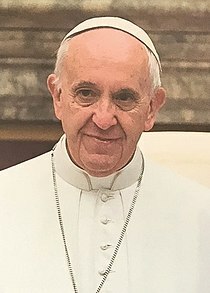 Pope Francis (2015). Praise Be To You – Laudato Si'; On Care for Our Common Home. San Francisco: Ignatius Press. ISBN 978-1621640813. Bergoglio, Jorge (1995). La vida sagrada y su misión en la Iglesia y en el mundo (PDF) (in Spanish). 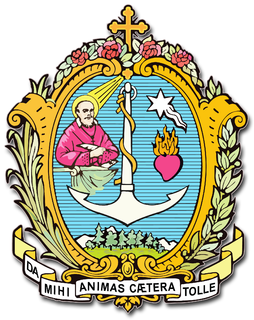 Argentina Catholic University: Faculty of Theology. OCLC 806712655. Egan, Edward Michael; Bergoglio, Jorge (2001). Episcopus minister Evangelii Iesu Christi propter spem mundi: relatio post disceptationem. The Catholic Church. The Synod of Bishops. Ordinary General Assembly. E Civitate Vaticana. OCLC 749998123. Bergoglio, Jorge (2003). "For Man". In Buzzi, Elisa. A Generative Thought: An Introduction to the Works of Luigi Giussani. Montreal: McGill-Queen's University Press. pp. 79–83. ISBN 978-0-7735-2612-9. 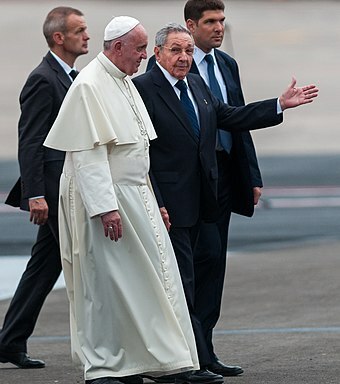 John Paul, Pope; Castro, Fidel (2004). Bergoglio, Jorge, ed. Diálogos entre Juan Pablo II y Fidel Castro[Dialogues Between John Paul II and Fidel Castro] (in Spanish). Buenos Aires: Ciudad Argentina. ISBN 9789875070745. Bergoglio, Jorge (2007). "Buscar el camino hacia el futuro, llevando consigo la memoria de las raíces". Humanitas (in Spanish). National Humanities Institute (47): 468–483. OCLC 176911626. Castiñeira de Dios, José María (2007). El santito Ceferino Namuncurá: relato en verso (in Spanish). Foreword by Jorge Bergoglio. Buenos Aires: Lumen. ISBN 9789870007340. Spadaro, Antonio, SJ (interviewer) (2013). A Big Heart Open to God: A Conversation with Pope Francis. New York: HarperOne. ISBN 978-0062333773. Pope Francis: A Man of His Word is a documentary film with Swiss-Italian-French-German co-production, co-written and directed by Wim Wenders. It premiered at the 2018 Cannes Film Festival and was released in the United States on 18 May 2018. It includes extensive sections of interviews as well as stock footage from archives. ↑ 31 October 2016 is the 499th anniversary of the start of the Reformation. Jorge María Mejía was an Argentine cardinal of the Roman Catholic Church. Antonio Quarracino was a Cardinal of the Roman Catholic Church of Argentina and the Archbishop of Buenos Aires between 1990 and 1998. Mary, Untier of Knots or Mary, Undoer of Knots is the name of both a Marian devotion and a Baroque painting which represents that devotion. The painting by Johann Georg Melchior Schmidtner, of around 1700, is in the Catholic pilgrimage church of St. Peter am Perlach, otherwise known as the Perlach church, in Augsburg, Bavaria, Germany. Pope Francis saw the image while in Germany as a student and promoted her veneration in Latin America. Oscar Sarlinga is an Argentinian bishop, born in Buenos Aires city on May 20, 1963. He did his primary studies at Nuestra Señora de Luján School, in San Andrés de Giles, and secondaries in Fray Mamerto Esquiu School, in that same city. He has also a degree in French Language Studies at the Alliance Française of Buenos Aires, Italian Language and Literature from Dante Alighieri Academy and several other languages. The papal conclave of 2013 was convened to elect a pope to succeed Pope Benedict XVI following his resignation on 28 February 2013. After the 115 participating cardinal-electors gathered, they set 12 March 2013 as the beginning of the conclave. On the fifth ballot, the conclave elected Cardinal Jorge Mario Bergoglio, SJ, Archbishop of Buenos Aires. He took the pontifical name of Francis. Oca is a former bishopric in the province of Burgos, Castile and León region, the predecessor of the Roman Catholic Archdiocese of Burgos, and presently a Latin titular see of the Catholic Church. Its Latin adjective is Aucen(sis). Jerónimo José Podestá was an Argentine Catholic priest and bishop. Mario Aurelio Poli is an Argentine cardinal of the Catholic Church. He has served as the Archbishop of Buenos Aires since his installation on 20 April 2013, succeeding Jorge Bergoglio, SJ, who was elected as Pope Francis. He previously served as the bishop of the Roman Catholic Diocese of Santa Rosa in Argentina. 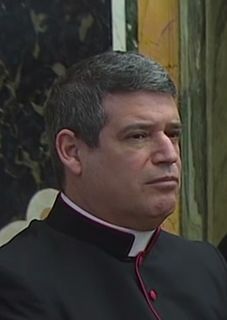 Fabián Edgardo Marcelo Pedacchio Leániz known as Fabián Pedacchio is a Catholic priest, who has served since 2013 as the personal secretary of Pope Francis. Joaquín Mariano Sucunza is a prelate of the Roman Catholic Church. He has been auxiliary bishop of Buenos Aires since 2000. Ariel Edgardo Torrado Mosconi is a prelate of the Roman Catholic Church. He has served as Auxiliary Bishop of Santiago del Estero since his appointment by Pope Emeritus Benedict XVI on November 22, 2008. On Tuesday December, 1, 2015, Pope Francis appointed him Bishop of the Roman Catholic Diocese of Nueve de Julio. The Colegio Máximo de San José is a Jesuit religious college in San Miguel, Buenos Aires, Argentina. Pope Francis studied in it during his youth. Luis Héctor Villalba is an Argentine prelate of the Roman Catholic Church. He is the Archbishop Emeritus of Tucumán, where he was previously Archbishop from 1999 to 2011. José Luis Mollaghan is an Argentinian prelate of the Roman Catholic Church. Since 2014 he has been an official of the Congregation for the Doctrine of the Faith. He previously held positions in Argentina, including Auxiliary Bishop of Buenos Aires and Archbishop of Rosario. The Ordinariate for Eastern (Rites) Catholics in Argentina or Argentina of the Eastern Rite is a Catholic Ordinariate for Eastern Catholic faithful, jointly for all Eastern Catholics, regardless of rite, living in Argentina. The St. Gallen Group was an informal group of high ranking like-minded reformist clerics in the Roman Catholic Church – described by the Bishop of St. Gallen, Ivo Fürer, who hosted the discussions, as a Freundeskreis – who met annually in or near St. Gallen, Switzerland, in January, to freely exchange ideas about issues in their church. The group being informal, it had no official name. Group of St. Gallen is what some of its members called it in their agendas; St. Gallen Group, St. Gallen Mafia and St. Gallen Club are alternatives. Pedro Ricardo Barreto Jimeno is a Cardinal Priest and Archbishop of Huancayo in the Roman Catholic Church. Pope Francis, elected in 2013, has repeatedly spoken about the need for the Catholic Church to welcome and love all people regardless of sexual orientation. Speaking about gay people in 2013, he said, "the key is for the church to welcome, not exclude and show mercy, not condemnation." He said, "If a person is gay and seeks God and has good will, who am I to judge?" "The problem," he continued, "is not having this orientation. We must be brothers." The pope has reiterated the Catholic Church's teaching on homosexuality, including its position on marriage. He has also been outspoken on the need to be compassionate towards LGBT people, and was named the Person of the Year by the LGBT magazine The Advocate. In 2019, Pope Francis reiterated that Catholic teaching states that homosexual tendencies "are not a sin." This section is very long. You can click here to skip it. ↑ Scarisbrick, Veronica (18 March 2013). "Pope Francis: "Miserando atque eligendo"..." Vatican Radio. Archived from the original on 5 July 2013. Retrieved 19 March 2013. 1 2 3 4 5 6 7 8 9 10 11 "Direttorju Ekklezjastiku 2016" (PDF) (in Maltese and English). The Church in Malta. 30 June 2016. pp. 1–2. Archived from the original (PDF) on 22 November 2016. ↑ "Vatican Web site, from L'Osservatore Romano, Year LXIII, number 12: biography of the Holy Father Francis". Holy See. Retrieved 18 July 2013. ↑ "Regina María Sívori, su mamá". La Nación. 17 March 2013. Retrieved 19 March 2013. ↑ Rice-Oxley, Mark (13 March 2013). "Pope Francis: the humble pontiff with practical approach to poverty". London: The Guardian (UK). Retrieved 13 March 2013. ↑ Donovan, Jeffrey (13 March 2013). "Argentina's Cardinal Bergoglio Is Elected Pope Francis". Bloomberg L.P. Retrieved 13 March 2013. ↑ Henderson, Barney (14 March 2013). "Pope Francis elected leader of Catholic Church: latest". London: The Daily Telegraph. Retrieved 14 March 2013. ↑ Rosales & Olivera 2013, p. 5. 1 2 "Jorge is against regimes. It is because of fascism that our father emigrated". La Stampa. 17 March 2013. Retrieved 18 March 2013. ↑ "Los Bergoglio, la familia más sorprendida" [The Bergoglio, the most surprised family] (in Spanish). La Nación. 14 March 2013. Retrieved 22 April 2015. ↑ "3 relatives of pope killed in crash in Argentina – Chicago Tribune". Chicago Tribune. 19 August 2014. Retrieved 4 October 2014. ↑ "CNS STORY: Pope asks prayers after great nephews, their mother die in car crash". Archived from the original on 19 August 2014. Retrieved 4 October 2014. 1 2 "Jorge Bergoglio, un sacerdote jesuita de carrera" [Jorge Bergoglio, a career Jesuit priest]. La Nación (in Spanish). 13 March 2013. ↑ "Biography: who is Jorge Mario Bergoglio?". News.va. 13 March 2013. Retrieved 15 March 2013. ↑ "Su etapa de laboratorista". Clarín. 17 March 2013. Retrieved 17 March 2013. ↑ Burke, Daniel (3 December 2013). "Pope: I was once a bar bouncer". CNN. Retrieved 3 December 2013. ↑ Chua, Howard (11 December 2013). "TIME's Person of the Year 2013 Pope Francis, The People's Pope". Time. Retrieved 27 December 2013. ↑ Lifschitz, Alejandro (13 March 2013). "Argentina's pope a modest man focused on the poor". Reuters. Retrieved 14 March 2013. ↑ Club Atlético San Lorenzo de Almagro (14 March 2013). "Pope Francis is a card-carrying San Lorenzo supporter". 1 2 3 "Bergoglio, sobre todo 'pastor', tanguero y simpatizante de San Lorenzo" (in Spanish). Agencia Informativa Católica Argentina. 13 March 2013. Retrieved 19 March 2013. 1 2 3 4 "Bergoglio, Jorge Mario". Breve biografía de obispos (in Spanish). La Agencia Informativa Católica Argentina. Retrieved 15 March 2013. 1 2 3 4 5 6 "Pope Francis Spoke of Being 'Dazzled' by Girl, Possible Change of Celibacy Rule". Balitang America. NBC News. 20 March 2013. Archived from the original on 8 March 2019. ↑ "En 1958, Bergoglio hizo su noviciado en Chile" (in Spanish). La Segunda. 13 March 2013. Retrieved 19 March 2013. ↑ "Biography of the Holy Father Francis". The Holy See. Retrieved 15 May 2015. ↑ "Biografía: ¿Quién es Jorge Bergoglio?". Vatican. 13 March 2013. Retrieved 8 May 2015. ↑ "The Cardinals of the Holy Roman Church – Biographies – A". Florida International University. Archived from the original on 18 March 2014. Retrieved 19 March 2013. 1 2 "Why Bergoglio travels so little". Vatican Insider. 29 March 2014. Retrieved 6 May 2014. ↑ "Neuigkeiten 14.03". Hochschule. Philosophisch-Theologische Hochschule Sankt Georgen. Retrieved 14 March 2013. ...einige Monate in Sankt Georgen verbrachte, um sich mit einzelnen Professoren über ein Dissertationsprojekt zu beraten. Zu einem Abschluss in Sankt Georgen ist es nicht gekommen. ↑ "Biografía de Jorge Bergoglio" (in Spanish). El Litoral. 14 March 2013. Retrieved 14 March 2013. ↑ Baumann, Andrea (15 March 2013). "Was Papst Franziskus in Augsburg machte" (in German). Augsburger Allgemeine. Retrieved 20 March 2013. ↑ Bellos, Alex (23 December 2001). "Virgin painting ties Brazilians in knots". London: The Guardian (UK). Retrieved 14 March 2013. ↑ Jiménez, Pablo (14 March 2013). "The Pope's chalice: silver-made, austere and featuring Our Lady of Luján". Buenos Aires Herald. Retrieved 14 March 2013. 1 2 Shkodziska, Oksana (13 March 2013). "Patriarch Sviatoslav: Newly Elected Pope Knows Ukrainian Catholic Church, its Liturgy and Spirituality". Religious Information Service of Ukraine. Retrieved 15 March 2013. 1 2 "To understand Pope Francis, look to the Jesuits". ncronline.org. 12 March 2014. Retrieved 29 October 2016. ↑ "Setting the Record Straight on Pope Francis: A Reply to Frank Brennan". abc.net.au. ↑ Vallely, Paul (2013-08-01). Pope Francis. ISBN 9781472903723. ↑ "Francis Toughened by Argentine Politics Ready for Papal Test". Bloomberg. Retrieved 15 March 2013. 1 2 Glatz, Carol (15 March 2013). "Pope's episcopal motto comes from homily by English doctor of church". Catholic News Service. Retrieved 16 March 2013. ↑ "Jesuit Argentine Cardinal Bergoglio elected pope, takes name Francis". jesuit.org. Archived from the original on 16 March 2013. Retrieved 16 March 2013. ↑ "Haley Cohen, "Slum Priest: Pope Francis' Early Year", The Atlantic, 20 March 2013". The Atlantic. 20 March 2013. Retrieved 23 June 2013. ↑ Puella, Phillip (9 May 2014). "U.N. should encourage redistribution of wealth, pope says". Reuters. Retrieved 8 November 2014. ↑ Coday, Dennis (4 April 2013). "John Allen, "Former aide says Francis may close Vatican Bank"". National Catholic Reporter. Retrieved 23 June 2013. ↑ Magister, Sandro (2 December 2002). "Jorge Mario Bergoglio, Profession: Servant of the Servants of God". L'espresso . Rome, Italy: Gruppo Editoriale L'Espresso. Retrieved 16 March 2013. ↑ Hebblethwaite, Margaret (14 March 2013). "The Pope Francis I know". The Guardian . London, England: Guardian Media Group . Retrieved 16 March 2013. Luro talked to me at length about her friend, of whom she has the highest opinion, and told me how she would write to him almost weekly, and he would always reply by ringing her up and having a short chat. When Podesta was dying, Bergoglio was the only Catholic cleric who went to visit him in hospital, and, when he died, the only one who showed public recognition of his great contribution to the Argentinian church. ↑ Calloni, Stella (13 March 2013). "Acusado de tener vínculos con la dictadura; la derecha lo defiende". La Jornada (in Spanish). Mexico City, Mexico: Desarrollo de Medios S.A. de C.V. Retrieved 27 October 2018. ↑ Pullella, Philip (21 March 2013). "Pope to hold major Holy Week service in youth jail". London, England. Reuters . Retrieved 22 March 2013. ↑ Rocca, Francis X. (13 March 2013). "Next pope faces global challenges". Catholic San Francisco. Archived from the original on 4 April 2013. Retrieved 14 March 2013. ↑ Rubin, Sergio (17 September 2007). "Regresó la misa en latín, con mujeres cubiertas por mantillas" (in Spanish). Clarin. Archived from the original on 18 March 2013. Retrieved 14 March 2013. ↑ "El latín volvió a las misas" (in Spanish). Línea Capital. 17 September 2007. Retrieved 14 March 2013. ↑ "Elige Sus Nuevas Autoridades La Conferencia Episcopal". Mercedes Ya. 7 November 2005. Retrieved 21 March 2013. ↑ "El cardenal Bergoglio fue reelegido frente a la Conferencia Episcopal". DERF. 11 November 2008. Retrieved 21 March 2013. ↑ Speciale, Alessandro (15 March 2013). "Vatican defends Pope Francis' actions during Argentina's 'Dirty War'". The Washington Post. Retrieved 16 March 2013. ↑ "Bergoglio presenta su renuncia como arzobispo de Buenos Aires, aunque seguirá en el cargo". Terra Noticias. 15 December 2011. Retrieved 22 March 2013. ↑ "X Ordinary General Assembly (30 September – 27 October 2001)". Synod of Bishops. Holy See. Archived from the original on 19 February 2011. Retrieved 14 April 2013. ↑ Poirier, José Maria (13 March 2013). "Features Quiet thunder in Argentina". Catholic Herald. Retrieved 18 March 2013. ↑ "Synodus Episcoporum Bulletin 30 September – 27 October 2001". Holy See Press Office. 27 October 2001. Retrieved 14 March 2013. 1 2 3 4 Allen, Jr., John L. (3 March 2013). "Profile: New pope, Jesuit Bergoglio, was runner-up in 2005 conclave". National Catholic Reporter. Retrieved 15 March 2013. ↑ Rubin, Sergio (14 March 2013). "'El Jesuita,' biography of Jorge Bergoglio, tells of Pope Francis' humble beginnings in the church that he maintained throughout his cardinalship". New York Daily News. Retrieved 18 March 2013. 1 2 Falasca, Sefania (November 2007). "What I would have said at the Consistory". 30 Giorni. Retrieved 15 March 2013. ↑ Maureen O'Riordan. "Saint Therese of Lisieux – "Saint Therese of Lisieux: A Gateway" Blog – Pope Francis and Saint Thérèse of Lisieux: "To depend solely on the tenderness of God"". Thérèse of Lisieux. Retrieved 27 December 2013. ↑ "Argentine Cardinal Named in Kidnap Lawsuit". Los Angeles Times. 17 April 2005. Retrieved 14 March 2013. ↑ Allen, Jr., John L. (14 April 2005). 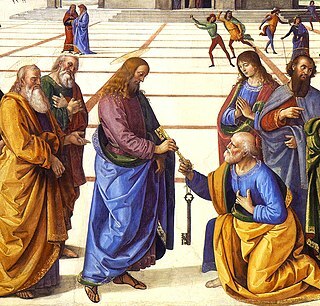 "Handicapping the conclave". National Catholic Reporter. Retrieved 15 March 2013. 1 2 "Cardinal breaks conclave vow of secrecy". CNN. Associated Press. 23 September 2005. Archived from the original on 1 October 2005. Retrieved 13 March 2013. ↑ Wooden, Cindy (23 September 2005). "Article based on diary says German cardinal became pope with 84 votes". Catholic News. Archived from the original on 28 September 2005. Article gives numbers for the four votes; Ratzinger had most votes, followed by Bergoglio. ↑ Manson, Jamie (15 March 2013). "One of Pope Francis' allegiances might tell us something about the church's future". National Catholic Reporter. Retrieved 15 March 2013. ↑ Sánchez Alvarado, Gretta (20 March 2013). "Francisco: 'El verdadero poder es el servicio'". El Naconal. Archived from the original on 21 March 2013. Retrieved 22 March 2013. 1 2 McMahon, Colin (12 August 2005). "Sainthood effort for 5 slain recalls Argentine 'dirty war'". Chicago Tribune. Retrieved 23 March 2013. 1 2 Schmall, Emily; Rother, Larry (13 March 2013). "A Conservative With a Common Touch". The New York Times. Retrieved 14 March 2013. ↑ Coday, Dennis (17 March 2013). "Thomas Reese, "Francis, the Jesuits and the Dirty War", National Catholic Reporter, 17 March 2013". National Catholic Reporter. Retrieved 23 June 2013. ↑ "Argentine Cardinal Named in Kidnap Lawsuit". Los Angeles Times. 17 April 2005. Retrieved 13 March 2013. 1 2 "Pope Francis Is Known For Simplicity And Humility". Associated Press. 13 March 2013. Archived from the original on 16 March 2013. Retrieved 13 March 2013. Bergoglio—who ran Argentina's Jesuit order during the dictatorship—told Rubin that he regularly hid people on church property during the dictatorship, and once gave his identity papers to a man with similar features, enabling him to escape across the border. 1 2 Miroff, Nick (17 March 2013). "Pope's activity in Dirty War Draws Scrutiny". Chicago Tribune. Sec. 1. Washington Post. p. 27. ↑ "Pope Francis: A look at the life of the first South American pontiff". The Star-Ledger. 13 March 2013. Retrieved 13 March 2013. ↑ "Declaration of Father Franz Jalics SJ" (in German). German Jesuit Web site. 15 March 2013. Archived from the original on 16 March 2013. Retrieved 16 March 2013. ↑ Watts, Jonathan (21 March 2013). "Pope Francis did not denounce me to Argentinian junta, says priest". London: The Guardian. Retrieved 21 March 2013. ↑ "Second Declaration of Father Franz Jalics SJ" (in German). German Jesuit Web site. 20 March 2013. ↑ "Pope Francis Is Known For Simplicity And Humility". Associated Press. 13 March 2013. Archived from the original on 16 March 2013. Retrieved 13 March 2013. both men were freed after Bergoglio took extraordinary, behind-the-scenes action to save them—including persuading dictator Jorge Videla's family priest to call in sick so that he could say Mass in the junta leader's home, where he privately appealed for mercy. ↑ Pablo Javier Blanco (17 March 2013). "Dias inolvidables para su biógrafo" [Unforgettable days for his biographer]. El Papa del fin del mundo (in Spanish). Clarín. Retrieved 13 March 2013. ↑ Indart, Ramón (15 March 2013). "Alicia Oliveira: "Garré sabe todo lo que hizo Bergoglio"". Perfil (in Spanish). Archived from the original on 18 May 2013. Retrieved 22 March 2013. ↑ "Yo pensaba si el padre éste era consciente de lo que se estaba jugando". La Nacion. 23 March 2013. Retrieved 23 June 2013. ↑ "Un cura español dice que el Papa evitó que lo mataran durante la dictadura argentina". El País. 24 March 2013. Retrieved 23 June 2013. ↑ Hernandez, Vladimir (15 March 2013). "Argentina 'Dirty War' accusations haunt Pope Francis". BBC News. Retrieved 18 March 2013. ↑ Watts, Jonathan; Goni, Uki (15 March 2013). "Pope Francis: role during Argentina's military era disputed". The Guardian. ↑ "'Bergoglio had no links with the dictatorship,' Peace Nobel Prize winner". Buenos Aires Herald. 14 March 2013. ↑ Fioriti, Santiago. "Atacan a Bergoglio porque Cristina no quería que fuera Papa" (PDF). Clarín (in Spanish). ↑ """Bergoglio is completely innocent," says Argentina's Supreme Court"". Vatican Insider. 18 March 2013. Archived from the original on 26 May 2013. Retrieved 23 June 2013. ↑ Goñi, Uki (19 March 2013). "Pope Francis: what did he really do in Argentina in the 1970s?". The Guardian. Retrieved 11 February 2015. ↑ Cifuentes, Pedro (15 March 2013). "Bergoglio: la verdadera historia del Papa Francisco y la dictadura de Videla" [Bergoglio: the true story of Pope Francis and Videla's dictatorship] (in Spanish). Zoom News. Archived from the original on 1 July 2013. Retrieved 28 May 2015. ↑ Joaquín Garau & Pablo Martín Fernández (19 March 2013). "The fake viral photo of pope Francis: who is the priest that gives the communion to Videla". Info Technology. Retrieved 11 February 2015. ↑ Obarrio, Mariano (27 May 2004). "El mensaje de la Iglesia era para Kirchner" [The message of the church was for Kirchner] (in Spanish). La Nación. Retrieved 13 March 2013. ↑ Colonna, Lucas (24 May 2005). "Suspendió la Iglesia el tedeum en la Capital" [The church suspended the tedeum in the capital] (in Spanish). La Nación. Retrieved 13 March 2013. 1 2 3 "Jorge Bergoglio y los Kirchner: años de una relación tensa" [Jorge Bergoglio and the Kirchners: years of a tense relation] (in Spanish). La Nación. 14 March 2013. Retrieved 13 March 2013. ↑ Associated Press in Buenos Aires (27 March 2013). "Cristina Fernández de Kirchner turns Pope Francis from foe to friend". The Guardian. Retrieved 15 March 2014. ↑ "Pope's diplomacy put to test as leaders flock to Rome". CP24. Associated Press. 18 March 2013. Retrieved 15 May 2015. ↑ Gilbert, Jonathan (18 March 2013). "Making nice? Argentina's Kirchner and Pope Francis meet in Rome". Christian Science Monitor. Retrieved 26 March 2013. ↑ "Página 12 sacó notas de Verbitsky sobre Bergoglio y la dictadura" [Página 12 removed Verbitsky's articles about Bergoglio and the dictatorship] (in Spanish). Perfil. 18 November 2014. Archived from the original on 20 June 2015. Retrieved 28 May 2015. ↑ "Vatican releases Pope Francis' coat of arms, motto and ring". London: The Daily Telegraph. 18 March 2013. Retrieved 18 March 2013. ↑ "Lo Stemma di Papa Francesco". L'Osservatore Romano (Vatican website). Retrieved 18 March 2013. 1 2 "Pope stresses simplicity, ecumenism in inaugural Mass plans". National Catholic Reporter. 18 March 2013. Retrieved 18 March 2013. ↑ "Pope Francis's missing lung should not be a problem, say doctors". London: The Guardian. 14 March 2013. Archived from the original on 16 March 2013. ↑ Park, Alice (13 March 2013). "Why Pope Francis Only Has One Lung". Time. Archived from the original on 17 March 2013. ↑ Caleb K. Bell (14 March 2013). "Why the first Jesuit pope is a big deal". Religion News Service. Retrieved 8 June 2015. ↑ Howard Chua-Eoan (13 March 2013). "Pope of the Americas". TIME. Retrieved 8 June 2015. ↑ Fisher, Max (13 March 2013). "Sorry, Jorge Mario Bergoglio is not the first non-European pope". The Washington Post. Retrieved 8 June 2015. ↑ "Pope visits ailing Argentine cardinal in hospital". ABC News. Archived from the original on 16 March 2013. Retrieved 9 May 2014. ↑ "Pope Francis: 13 key facts about the new pontiff". The Guardian. London. 13 March 2013. Retrieved 13 March 2013. ↑ "Briefing di padre Lombardi". The Vatican Today. 14 March 2013. Retrieved 14 March 2013. ↑ "Francis and those humble gestures by the Pope, he does not sit on a throne, paying the bill at the hotel" (in Italian). Corriere Della Sera. 14 March 2013. Retrieved 1 April 2013. ↑ Peter Walker, Paul Owen & David Batty (14 March 2013). "Pope Francis, first day after election". London: The Guardian. Retrieved 19 March 2013. ↑ Glatz, Carol (2 April 2013). "Can't chant, can't speak English? Pope says it's because he's tone-deaf". Catholic News Service. Archived from the original on 2 April 2013. Retrieved 15 September 2013. ↑ Wooden, Cindy (26 March 2013). "Pope Francis to live in Vatican guesthouse, not papal apartments". National Catholic Reporter . Retrieved 26 March 2013. ↑ "Habemus Papam! Cardinal Bergoglio Elected Pope Francis". Official Vatican Network. Retrieved 14 March 2013. ↑ "White smoke: Cardinals elect new pope on fifth ballot". The Catholic Sun. 13 March 2013. Retrieved 15 March 2013. ↑ Suarez, Ray. "A New Pope, and Maybe a New Era". PBS. Retrieved 15 March 2013. ↑ Bingham, John (14 May 2013). "Pope Francis elected after supernatural 'signs' in the Conclave, says Cardinal". London: The Daily Telegraph.